Lenspeace is a social impact studio specializing in pivoting pain points into positive outcomes. We believe in the power of design thinking and storytelling media to foster empathy for community building and social change. Our work engages the intersection of passion and plan for actionable impact. We’re empathetic to how hard it is to create meaningful work with a positive impact. We understand failed strategy or poor communication often results in unsustainable execution and unintended consequences that negatively impact our society and environment. With all of the issues we face there’s no time to waste in creating powerful work that changes minds and our world. We offer a flexible methodology to adapt to your creative needs through one-on-one consulting or utilizing design thinking facilitation for any group wanting to guarantee diverse & inclusive decision-making throughout their creative process that results in sustainable outcomes. We’re driven by the complexity of solving complicated issues currently impacting our collective lives and the planet, and effectively communicating them to inspire the culture of social change. Our key themes are empathy, social and enviornmental justice, effective communication, breaking bias, intersectionality, design ethics, and philanthropy. Ethics are our compass. Internally and externally everything we do is founded on principles of non-violence, compassion, and inclusive humanity. 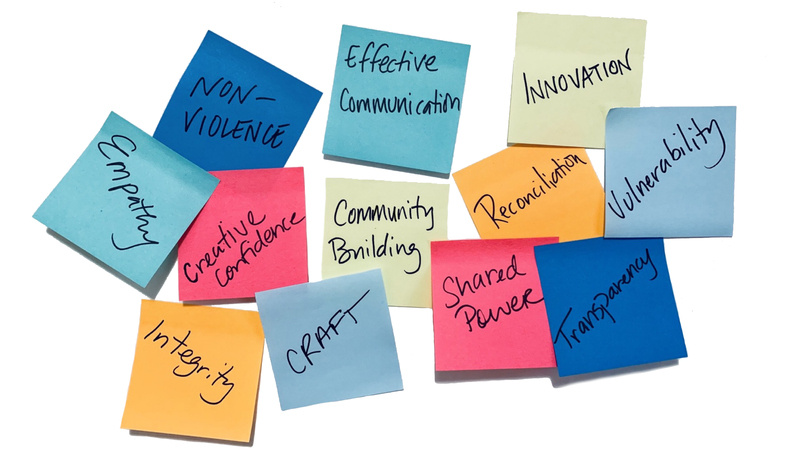 We employ a variety of methods to engage in cultural change. We love to work with non-profit & for-profit organizations, individuals or teams to get a shared vision for a viable future. Sponsor our program Collective Impact ATL with a tax-deductible donation thru our fiscal sponsor C4 Atlanta. Collective Impact ATL explores the positive impact of shared power, leveraging local assets, and fostering strategic partnerships for social change. This 501(c) program aligns purpose-based organizations, corporate philanthropy, passionate individuals, and creative-doers in fostering social equity and multi-faceted sustainability for the community by the community. A strategy to story program inspiring the growing culture of social change. We love creating empathetic ideas that explore identity and humanity in a way that connects us all through a universal language. You can support our on-going efforts thru purchasing art. We make it because we love to, we sell it to support our mission for positive impact and the collaborators we work with. You can become a patron of lenspeace! With your regular subscription to our Patreon, we’ll give you talks on bias breaking and engaging the theory of social impact theory, a letterpress subscription box, endless snark on unintended consequences, and even commissioned art. Help us make a difference in the world, and we’ll strive to make a difference in your life. Do you have a problem that needs solving? A project that wants to have a bolder impact? A desire to do better than the last time? Or would you like to align with us as a community partner, activist or artist? Let us know who you are and how we can connect.